Water is essential, underpriced, local, non-substitutable, and broadly taken for granted, until it is unavailable. Worldwide water demand is increasing from population growth, higher protein diets, urbanization, industrialization, and expanding energy needs. Simultaneously, global supply is becoming scarce due to inefficient use, pollution, poor groundwater management, and increasing incidence and intensity of drought and flood due to climate change. As a result, water is increasingly becoming a limiting factor to macroeconomic growth and in some cases social stability. 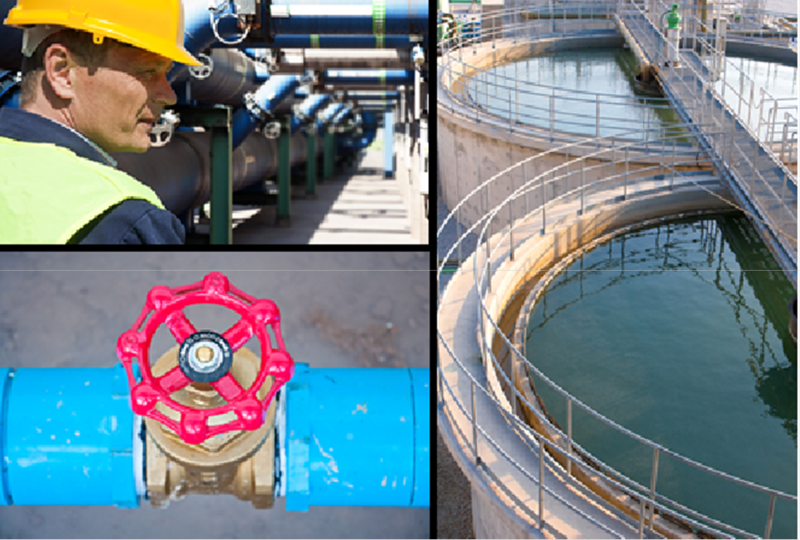 The water industry is experiencing revolutionary changes due to demand growth and the scarcity of inexpensive sustainable and safe supply alternatives. The world is not running out of water, the world is running out of cheap clean water. This is creating unprecedented investment opportunities in water infrastructure, water resource development, water efficiency, water quality/quantity monitoring, privatization, industry consolidation and technological implementation. In the developing world, more than 1 billion people lack access to a reliable and adequate water supply and to safe wastewater disposal systems. Addressing their needs requires hundreds of billions of dollars of investment. The OECD estimates that by 2025 water will make up the lion’s share of global infrastructure investment with water spending topping $1 trillion that year. This amount is nearly triple the amounts needed for investments in electricity or transport. The water industry is a capital intensive industry that provides investors with inflation linked pricing, regulated monopolistic business models, unregulated oligopolies, durable customer relationships, high visibility cash flows, and long duration contracted revenues. Water’s local nature creates regionalized supply and demand imbalances not affected by global supply and price swings. As a non-substitutable resource, water's relatively inelastic demand insulates it from economic cycles as compared to other resources and investments. Importantly water rates have durable positive pricing power, historically increasing at a rate greater than inflation, driven by infrastructure upgrades and expansion to ensure quality and supply reliability. Presently, there are a growing number of privatization opportunities expected as stressed local and federal balance sheets seek solutions to rising and unavoidable capital spending needs. Most water problems are solvable through proper investment and transparent pricing. Investing in water combines positive investment returns and free enterprise with serving the common good and delivering measurable positive impact. Water investing is responsible investing. Delivering clean water and treating waste water is essential to sustaining life, sustainable communities and public health while restoring rivers, coastal environments and marine ecosystems. Moving and treating water consumes ~ 3% of world's electricity; an efficient water system can be an important energy savings initiative. Providing reliable, regulated water and sanitation services in developing countries increases economic productivity and improves public health. It also promotes gender equality by liberating women and girls from the burden of hauling water, increasing their ability to stay in school which lowers birth rates. Water infrastructure investment in developed markets has an exponential impact on job creation. The primary outcome of climate change is the growing intensity of drought and flood. Therefore investment to deliver water supply resiliency and clean water solutions are essential. Water is also the ultimate renewable resource. When managed appropriately it is sustainable and perpetual with no depletion curve like oil and gas or mining. WAM is an active water policy advocate, contributing to the reawakening of the basic human instinct to care for and about water in government, society, culture and most importantly in capital markets. Solving water problems requires substantial capital investment, operating competence, performance transparency and regulatory certainty. Inflation Hedge: Water investing has historically acted as an effective hedge against inflation. Water prices have consistently risen in excess of the rate of inflation. This increase is driven by the need to upgrade infrastructure and sources of new supply (storage, transmission, treatment) and competition among users of water (industrial, agricultural, residential and environmental). Clean water is scarce, in a world of excess liquidity where most everything is in oversupply. Lower Price Compared to Electricity, Gas, Cable, and Telecom: The comparably low price of water relative to value leaves ample room for price increases to cover full costs of operations, capital investment, and reliable supply. Low Correlation and Volatility: Water demonstrates a low level of correlation with a broad universe of commodities and equity indices, and has also tended to increase in value more consistently over time. Diversification: Water is a critical input to future growth: food and energy production, oil and gas development, manufacturing, mining, housing, and data storage among others, allowing investors in water to gain broad growth exposure to a variety of real assets and economic activity. Water Asset Management believes that these factors provide an unprecedented period of transformation for the water industry. Water companies will tend to thrive and prosper, offering investors the ability to realize capital appreciation as well as sustainable long term income, with relatively low levels of risk and volatility, while delivering positive impact. The American Society of Civil Engineers (ASCE) 2017 report card gave the country’s water and waste water systems a D. A large portion of the nation’s drinking water infrastructure is nearing the end of its useful life with an estimated 240,000 water main breaks per year. Some water systems date back to the mid-1800s with most water infrastructure components having a useful life of between 15 and 100 years. It is estimated that the most urgent investments to restore water infrastructure could be spread over 25 years at a cumulative cost of approximately $1 trillion. Wastewater infrastructure faces the same hurdles with between 700,000 and 800,000 miles of public sewer lines in the U.S., many installed in the early 1900s. More than 56mm additional customers will be added to centralized water treatment systems over the next 20 years. Investments in these pipes account for 85% of dollars spent in the sector with still an estimated 900 billion gallons of untreated sewage discharged each year. In addition to infrastructure costs, water managers throughout the Western United States are facing unprecedented uncertainty of their water supplies, and states are realizing the strategic importance of long-term water supply diversification and are seeking to ensure adequate future water supply for increasing populations, energy production and other growth areas. As the marginal cost of new water supplies increases (desalination, reuse, transportation, etc. ), so will the value of regional water supplies and storage. Providing dynamic low cost, high volume solutions to Western water scarcity problems requires institutional capital and expertise. As more institutional capital and managers enter the sector, deal flow and transaction sizes will likely increase. To-date potential returns have not yet begun to contract as the knowledge and execution skills needed to succeed in the water resource area require local relationships and execution experience.